This one's a Stunner! 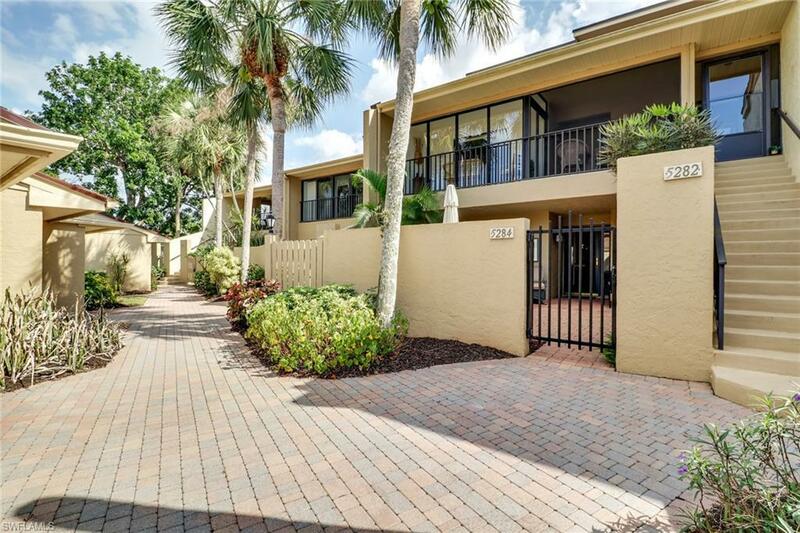 If you are looking for a move in ready condo, this one should be top of the list! 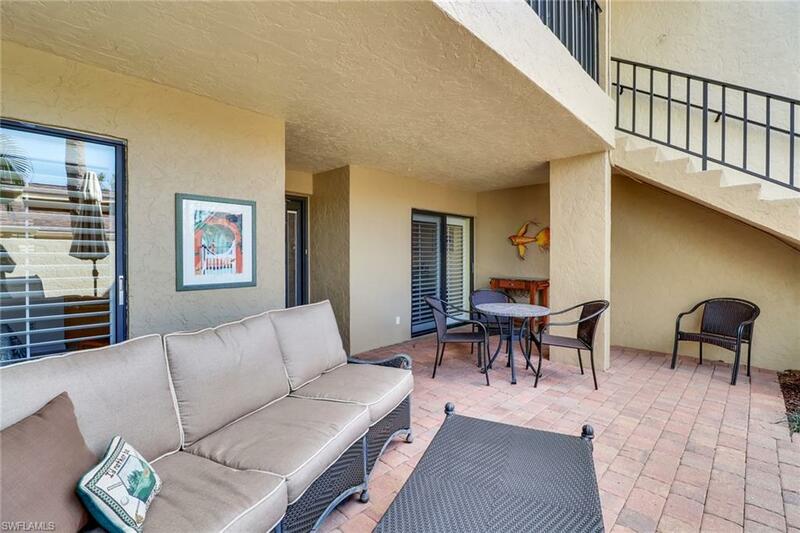 This Gorgeous unit has been renovated inside and including the outside courtyard. 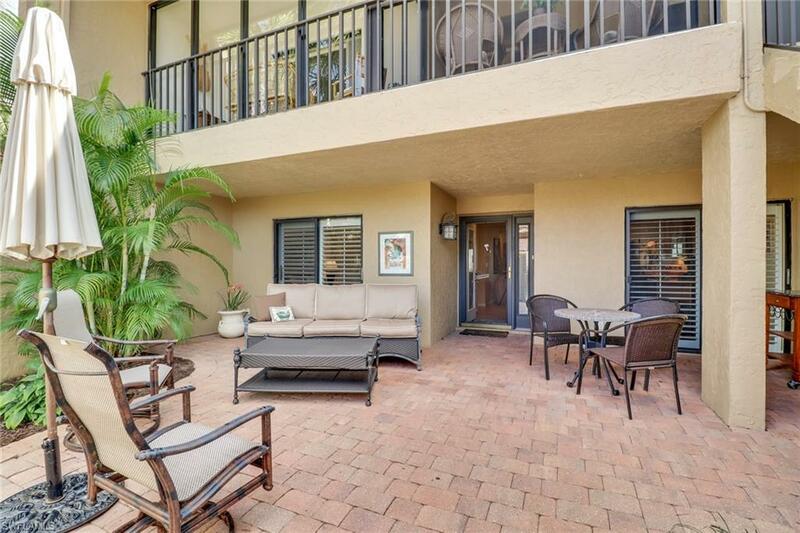 Updates include, the redesigned kitchen plus both bathrooms, cabinetry with granite counter-tops, tile shower in Master Bath, lighting fixtures, Frigidaire Professional Series Appliances, tile floors with carpet in bedrooms, glassed in lanai, plantation shutters throughout. This Turnkey unit comes comfortably furnished and decorated. Don't forget the outdoor living space of your brick paver courtyard with furnishings and BBQ. This unit is truly one you can move right in and enjoy. The unit has views of #9 Silver fairway. 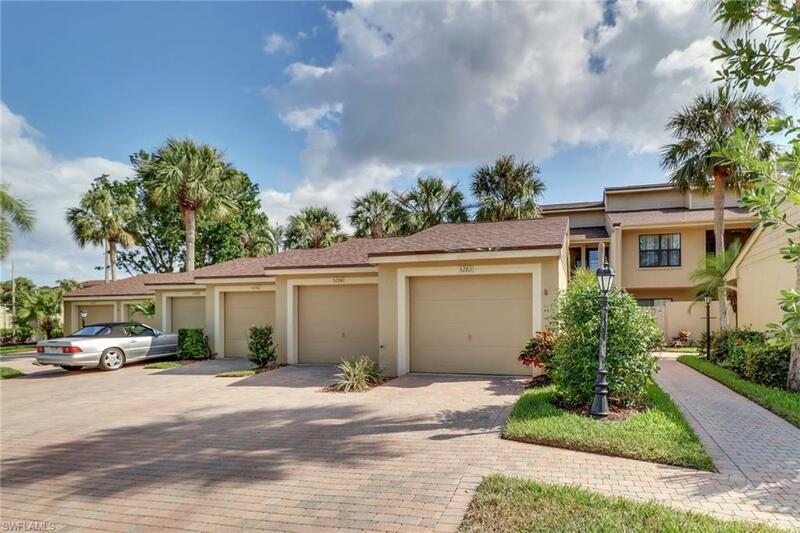 Fantastic opportunity to own in Foxfire, an affordable golf and tennis community that boasts 27 holes of golf, only a 10 minute drive to downtown Naples and the Beach with shopping & restaurants close by. Plenty of activities including, tennis, swimming pools, fitness room, driving range and putting green. At the clubhouse you'll find the grill room, dining room, library & pro shop. The data relating to real estate for sale on this limited electronic display come in part from the Broker Reciprocity Program (BR Program) of M.L.S. of Naples, Inc. Properties listed with brokerage firms other than Diamond Coastal Group at Premiere Plus Realty are marked with the BR Program Icon or the BR House Icon and detailed information about them includes the name of the Listing Brokers. The properties displayed may not be all the properties available through the BR Program. The accuracy of this information is not warranted or guaranteed. This information should be independently verified if any person intends to engage in a transaction in reliance upon it. Data last updated 2019-04-21T16:25:00.59. Some properties that appear for sale on this website may no longer be available. For the most current information, contact Diamond Coastal Group at Premiere Plus Realty, 239-300-1427, . Licensed in the State of Florida. © 2019 Florida Gulf Coast Multiple Listing Service, Inc. All rights reserved. The data relating to real estate for sale or lease on this web site comes in part from FGCMLS. Data deemed reliable but not guaranteed.IDX information is provided exclusively for consumers' personal, non-commercial use and may not be used for any purpose other than to identify prospective properties consumers may be interested in purchasing. Information is deemed reliable but is not guaranteed accurate by the MLS or Diamond Coastal Group at Premiere Plus Realty. Data last updated 2019-04-21T16:22:09.433. The data relating to real estate for sale displayed on this Website comes in part from the Multiple Listing Service of the Bonita Springs-Estero Association of REALTORS®, Inc., under License No. 3035763. Properties displayed on this Website include properties listed with brokerage firms other than Diamond Coastal Group at Premiere Plus Realty. Detailed information about such properties includes the name of the brokerage firm with which the seller has listed the property. The properties displayed may not be all the properties listed with brokerage firms participating in the Bonita Springs-Estero Association of REALTORS® Multiple Listing Service, or contained in the database compilation of the Bonita Springs-Estero Association of REALTORS® Multiple Listing Service. Data last updated 2019-04-21T16:28:15.263.